My 1001 Book Odyssey | One man's mission to read 1001 essential novels. 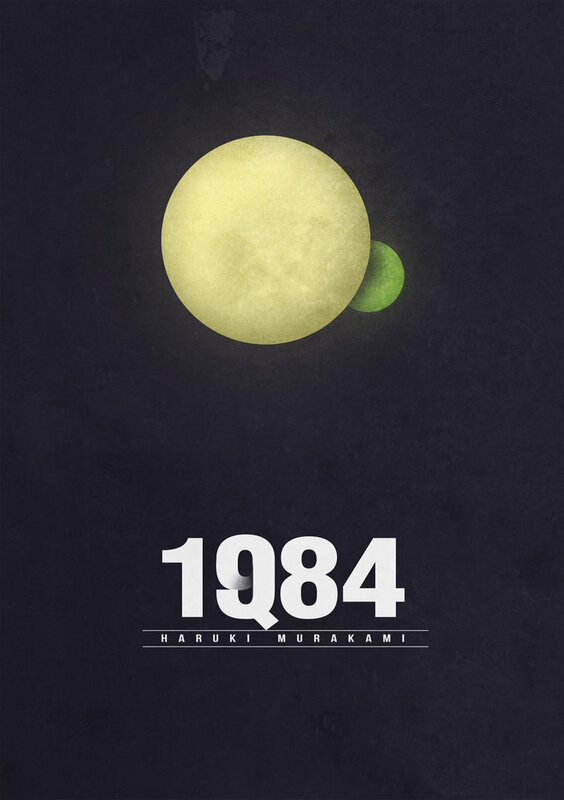 1Q84 is a fantastical novel, with Japanese-style magic realism so eerie and striking that it may cause the reader to question the very nature of reality. The lives of Aomame, a female Japanese assassin-for-hire, and Tengo, a male Japanese author, are intertwined in this novel; through a series of strange events, both characters find themselves in an alternate reality where there are slight but noticeable differences, such as heavily armed police officers and two moons in the night sky. Aomame transports herself to this alternate reality when she climbs down an emergency freeway overpass ladder after she had been stuck in traffic in a taxi-cab. Tengo transports himself when he ghost-writes a story for a young girl who had escaped a secretive religious commune; the story the girl tells and Tengo writes depicts small supernatural humanoid creatures who create a cocoon from threads of air- in this new reality, these ‘little people’ and the ‘air-chrysalis’ actually exist. When Aomame is called on to assassinate the leader of the religious commune, and the militant members of the commune begin to take an active interest in Tengo’s writing, Aomame and Tengo’s escape back to 1984 from the alternate 1Q84 becomes much more complicated. I am fascinated by Japanese culture- especially their art- especially anime and contemporary literature. I was fortunate to visit Japan briefly on a vacation (for which my sister had to make some sacrifices), and I had a Japanese roommate/fraternity brother in college. From my limited perspective and in my humble opinion, the Japanese people seem bound to strict social codes of conduct; they seem more Victorian Puritan than the Victorian Puritans themselves. As such, it seems when they create art, it explodes in spectacularly bizarre and outlandish forms, as if only through concentrated force can they break the shackles of their oppressive social mores. This seems evident in anime films like Akira and Spirited Away; it is also evident in Murakami’s writing. When confronted by works of art like this, I begin to question my own perceptions and surroundings. Like Aomame and Tengo, my and my sister’s lives are intertwined. Through both heredity and environment, there is no-one in the world more like me, and vice-versa; however, we have very different lives and very different perceptions on reality. While my personality type is phlegmatic-melancholy introvert, she is a sanguine extrovert. While socio-politically I am a moderate conservative, she is a knee-jerk liberal ideologue. She and I both lived in New York City: while I never considered my time there as any more than a temporary adventure and left after two years, she has lived there for over ten years and shows no sign of leaving. I love her as much as any person in this world can love another person, and I know she loves me the same, but we show it in very different ways. Knowing how similar and yet how completely different my reality is from my sister’s reality makes me wonder how different my reality is from a complete stranger- or even more-so, a complete stranger on the far side of the planet a hundred years ago. 1Q84 teaches us that reality is really just an illusion, but the connections we make and carry with us are real. “Early Monday morning, late on Saturday night, I saw ten thousand mile away a house just out of sight! To be honest, I was completely lost while reading Thursbitch. 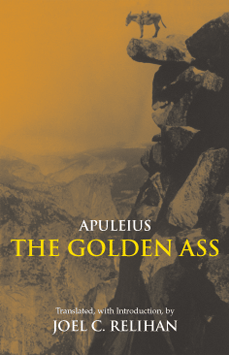 The novel is an enigmatic riddle, and the language is intentionally dense and confusing. 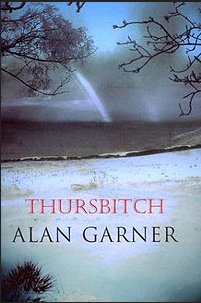 The valley of Thursbitch in Northern England seems to be a mystical place in which the characters of the novel also lose themselves. At least half the novel follows the story of Jack Turner, a jagger (salt vendor) in the late 1700s. He leads a cult-like religious ceremony that involves hallucinations that may or may not be due to his mushrooms (I think). Jack invokes a mystical bull from the heavens that inhabits his body during the ceremony, and the men and women attending the ceremony tear at his body, nearly killing him; Jack recovers by drinking his own urine (I think). Besides the ceremony, Jack does inexplicable things like carrying a carved stone head from a cave in the valley to his home; consider the following passage for a glimpse into the language and mystery- Jack (carrying and speaking to the stone head): “Now then, old Crom. How hast tha been this journey? Did the light hurt thine een? Never fret. It’s done; while next time. We shall burn bonny fires for thee. And Jenkin shall hold stars right running…Eh dear. We must look a pair, you and me. But did you see at all your land and did we mind us ways? I’ll take you down and put you in your bed, as soon as stones have done supping at the brook. We don’t want to be trod on by them great lummoxes. Hush now.” p. 74. Later, Jack becomes a fire-and-brimstone Christian pastor, preaching to the people of the valley of Thursbitch (I think). He dies, frozen to death, next to a single female footprint. Like I said, I was lost while reading the book. Sometimes it’s fun to be lost, though. I lived in London, England for a year when I was in my early twenties. I would often get intentionally lost in the city and attempt to find my way home. The streets of London seem like someone had a perfect grid and then took an egg scrambler to it and added a couple cans of alphabet soup. They don’t sell maps of the city; rather they have A-Z (pronounced A to Zed) books with page after page of maps referencing the names of the streets in the index. After a night out or on a slow afternoon, I would take the tube or a bus to a far away part of the city I had never visited and wander my way to familiarity. I guess I felt like I had something to prove. Meanwhile, in Thursbitch, in modern times, a woman, Sal (short for Sally), finds her only solace in the valley of Thursbitch. She is dying of a degenerative disease that causes her to lose her memories; she is becoming ‘lost’ in time. The valley is the only place her memories seem to ‘stick’. She also seems to have some preternatural connection to Jack from the 1700’s Thursbitch valley (I think). The valley of Thursbitch plays a large a part in the novel; in fact, it is even more important than the characters. I understand how important landscapes can be to a story. I once visited Venice, Italy with my family (again, in my twenties). 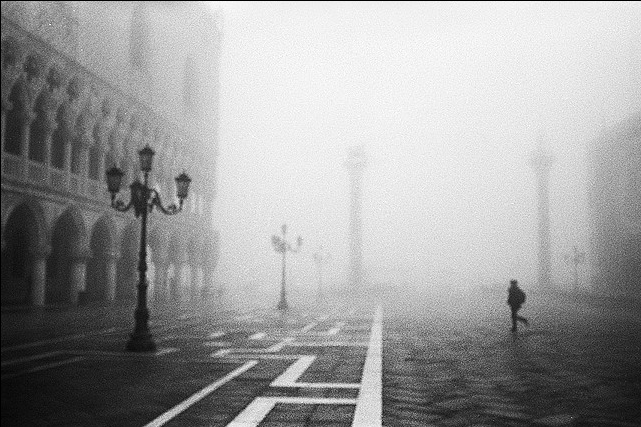 One day, an incredibly thick fog rolled in over the city from the Adriatic Sea. While my family stayed in the hotel wishing for a sunnier day, I went exploring. Most tourists who visit Venice never stray far from the Rialto or the Piazza San Marco; I intentionally got lost in the depths of the narrow meandering pathways. The memory of that walk is vivid: as I could barely see more than a few feet ahead of me for the fog, every few steps brought something new. Ancient buildings on both sides suddenly gave way to modern apartments. I reached many a dead end- either blocked by a building or one of the ubiquitous canals. Lushly carved bridges sprung up abruptly; one led into a grove of olive trees. I passed fishermen in their noisy boats coming and going on the larger canals, and on smaller ones gondolas would slip past silently into the mist. I turned one corner and found myself walking behind a beautiful Italian lady. She glanced behind her then slightly quickened her pace, while I self-consciously slowed my pace so as not to seem like a stalker. She disappeared into the fog long before the sound of her heels clicking against the stone walkway faded away. All the while, the water lapped gently against the stones of the tiny islands, buildings, and passageways. There are places in this world in which the individual loses his sense of self in the infinite. My experiences in London and Venice reflect this truth. In Thursbitch, the valley is such a place. I mentioned that I was lost while reading this book. That is not a complaint; in fact I thoroughly enjoyed the confusion and space cadet glow. How wonderful, sometimes, to be intentionally lost! 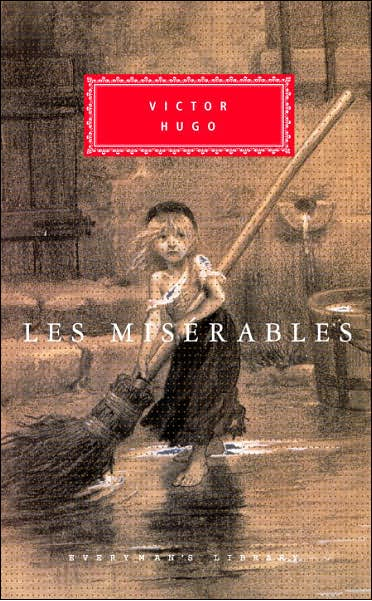 There is a LOT to say about Victor Hugo’s Les Miserables. At over 1400 pages, the novel is a sprawling, detailed epic depicting the lives of the poor in the early 1800’s in France. Set against the backdrop of the on-again, off-again French Revolution, the novel delves deeply into the historical and cultural aspects of the time period. Hugo gives comprehensive descriptions of the battle at Waterloo, the history of the sewers of Paris, the struggle between the bourgeoisie and the revolutionaries, and the language (Argot) of the poor lower classes (les miserables). The many movies, abridged versions, and Broadway play have made the story and characters of Les Miserables quite popular and recognizable in modern culture. The characters are vivid and unforgettable. Fantine, a single mother who sells her hair, her teeth, and eventually herself, has become the symbol for the self-sacrificing mother. Javert, the police inspector, is emblematic of stringent law and order. Enjolras is the consummate revolutionary. Thernardier is a scoundrel; not necessarily driven to a life of crime by his poverty, rather, he embraces it willingly. The most important and stunning character in the novel is the protagonist, Jean Valjean. Jean Valjean is the noblest character I have ever come across in literature. He stole a loaf of bread to feed his sister’s starving family; for that, he spent nineteen years in the galleys (he attempted several escapes, prolonging his sentence). Upon his parole, he is driven to a life of crime, as he cannot find work, shelter, or food. When a bishop shows him compassion and mercy, he is forever changed, undergoing an incredible transformation. From that point on, where he encounters anger, he shows compassion: Fantine is angry with him for not saving her job, leading her to a life of prostitution; Valjean rescues and raises Fantine’s daughter, Cosette. When he encounters greed, he shows generosity: more than once, he is overly generous to the greedy scoundrel, Thernardier. Where there is ignorance, he shows wisdom; although Marius doesn’t know that it was Valjean that saved his life and carried him to safety through the sewers, he doesn’t tell Marius for the sake of Cosette’s marriage and honor. Jean Valjean is a truly inspirational character. Reading this novel has inspired me to try to be more like Jean Valjean. Throughout the novel, he attempts to improve the lives of others. For nearly a decade, he is a businessman, and then mayor of a town, helping the economy and livelihood of the townspeople. However, it is temporary; when Valjean must reveal his true identity and abdicate his position, the townspeople fall back into poverty. Similarly, I attempted to help others when I was a teacher for nearly ten years. Although I know I made a positive difference in my students’ lives, it was only temporary and fleeting; like Valjean, I had a propensity for civil disobedience, and I was forced to resign my position. Jean Valjean found his true redemption and nobility as a father to Cosette. As a debt to her deceased mother, he rescues her from the Thernardiers, and raises and supports her with every privilege and love a father can give to a child. Likewise, my main focus in life is my six year old son. Instead of a career-centered life, as I spent my early adult years, I now choose a family centered life to spend more time with my son; I don’t make a lot of money, but I spend lots of time with him. I play with him, I read to him, I swim with him, I discipline him, I try to answer all his questions, and I volunteer in his classroom. I tell him that I love him every day. I try to remember that I am his first and most influential teacher. I was never the best chef or the best teacher in the world, but I am the best father I can possibly be to my son. Like Cosette was to Jean Valjean, my son is my life. Jean Valjean inspires me to be an even better father. Look! I fail my inspirer already! Jean Valjean never bragged or boasted; in fact he often denied his own good deeds. He was much more humble than I. 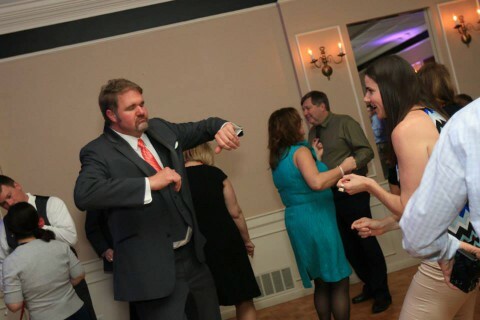 Clearly I have a long way to go before I can consider myself to be on his level. Eleven years ago today, my father, Michael Anthony Niewodowski, died. He had struggled with cancer for more than three years. He was 57 years old. 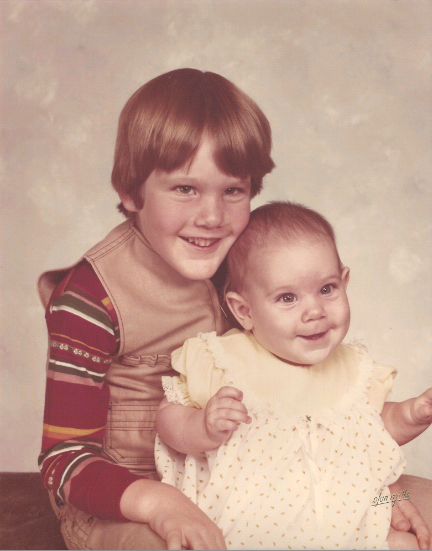 Tonight, I will break from my usual format to publish the eulogy I wrote and delivered at his funeral. It was written under duress and remains unedited. It was one of the proudest and saddest moments of my life…. sake, to make me feel a little better. 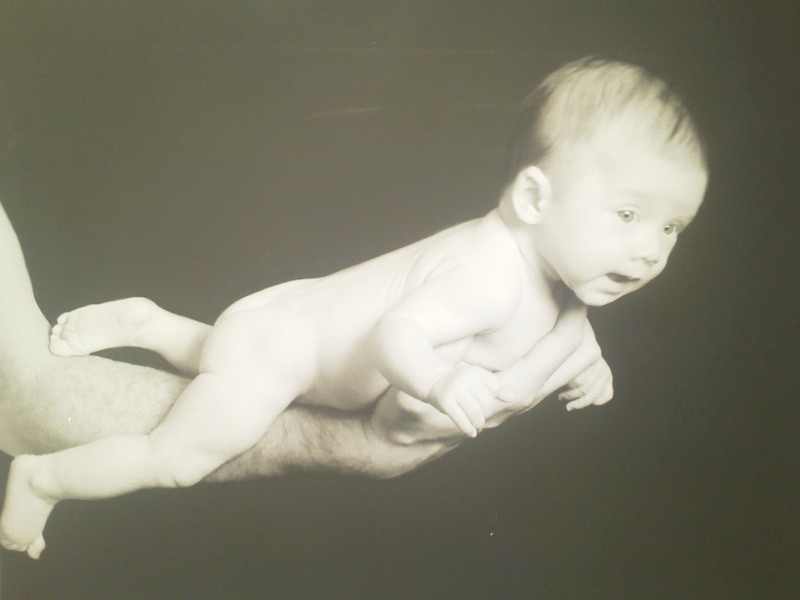 Michael Anthony Niewodowski: a son’s perspective. was nothing short of a superhero, possessed with unnatural strengths. and sugar? HA!! His coffee was always black and strong enough to float a bullet. around with the top down. be anything but the perfect shade of green. If a weed dared to show it’s head, it wasn’t for long. birdfeeders are meant to feed birds, not furry critters. He spent many a dime on squirrel proof birdfeeders. choice, stashed in with the birdseed! moment assuring that the house was in pristine, perfect order. up and back on the ladder before I could even ask him if he was alright. the same way that normal humans do. Vacations were a string of thousands and thousands of miles traveled. country, we have here.” Indeed he should know, during his life, he traveled to all fifty states. improve the quality of life of those around him. I have witnessed many men thank him for saving their lives. 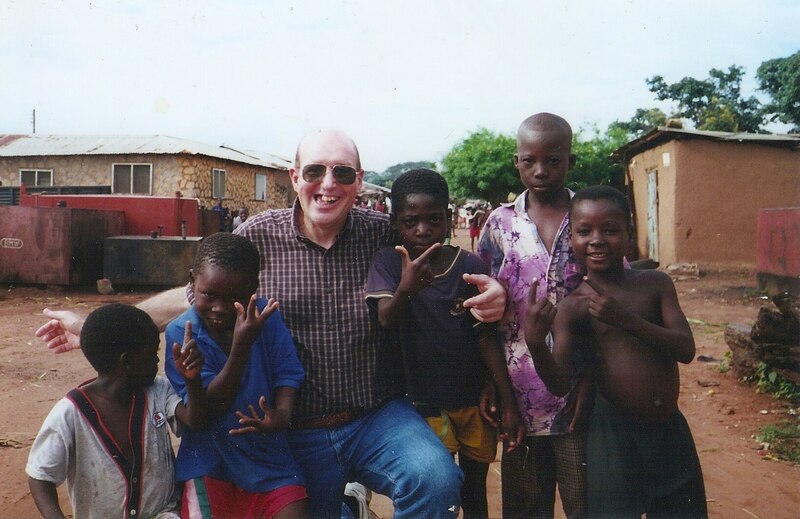 surgeries in Ghana, and in Haiti. the logs so high that they came tumbling out of the fireplace, but in the end, he always saved us. finest culinary school in the world, to chase my dreams to London, and to work at the top of Manhattan. he removed cancer from others in Africa and the Caribbean. save someone’s life or make someone’s life better. than the superhero I had at home. The History of the Siege of Lisbon is a novel about a single word. After more than forty years of impeccable service in his profession, Raimundo Silva, a proofreader, intentionally alters a line in a history book manuscript; he changes “During the siege of Lisbon in the twelfth century, the king of Portugal asked help from the Crusaders, who had stopped to re-supply their ships; the Crusaders said that they would come to help attack the occupying Moors” to “the Crusaders said that they would NOT come to help attack the occupying Moors”. As the proofreader is the last in line to examine a manuscript before publishing, the book was published with the erroneous information. Silva’s decision is inexplicable: when asked “why?” he responds that he simply had a “Mr. Hyde” moment. Rather than fire the proofreader, his superior suggests that he write a fictional history of the siege in which the Crusaders do not help the Portuguese. History, reality, and even life itself can hinge on a single word. In his novel, Saramago questions the validity of written history and shows us how tenuous our understanding of reality can be. The proofreader’s fictional account is much more interesting and exciting than the “true” history of the siege. 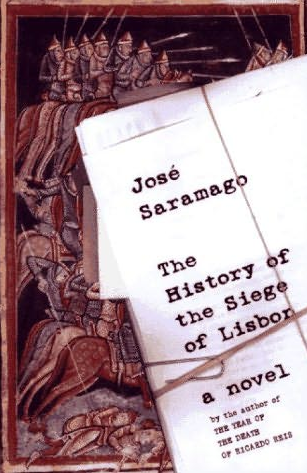 For Saramago, the truth should never stand in the way of a good story, and his-story trumps history. Most of us can probably relate to Raimundo Silva’s “Mr. Hyde” moment; we all do things that are unprofessional or just plain wrong at work. When I was a high school teacher, I often used curse words in front of my students. I was teaching Culinary Arts, and I had come from a professional restaurant kitchen environment, where screaming curses is commonplace- even expected. I brought the intensity of my 3 and 4 star restaurant experiences to the classroom, but I knew that it was unprofessional in the high school environment; ironically, this “Mr. 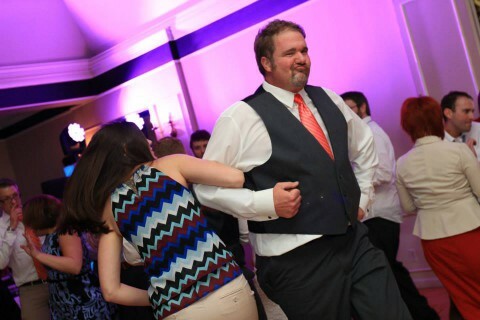 Hyde” intensity made me more effective at my job, and my students more engaged and prepared. Aptly, it was a single word that brought about my demise at my teaching job. A student accused me of being a bully; if he said “bully” once, he said it a hundred times to any other parents, teachers, or administrators who would listen to him. This was a student who had become disenfranchised and retaliatory because he had been cut from a competitive culinary team. Although I NEVER threatened physical violence, it was pretty easy to construe “bullying” from my using curse words, and I was labeled and shamed. When I was a child, a bully was someone that threatened physical violence to get something from another person (usually lunch money). 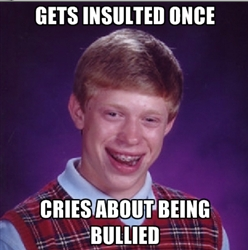 Now, the definition of a bully is much broader; apparently, you only have to make someone uncomfortable to be considered a bully. According to Norwegian researcher Dan Olwen (a supposed expert) a bully is someone who “intentionally inflicts injury or discomfort upon another person, through physical contact, through words, or in other ways.” By this definition, Mahatma Gandhi was a bully: he bullied the English through non-violent civil disobedience, intentionally inflicting discomfort upon them. By this definition, Jesus Christ was a physically violent bully: he intentionally inflicted physical injury upon the moneychangers in the temple. (Suddenly, my company doesn’t look so bad…..) The word “bully” has become a buzz word, and it is thrown around a lot. I would prefer a definition that does not encompass nearly every man, woman, child, and animal, as Olwen’s definition does. The History of the Siege of Lisbon teaches us to choose our words wisely. A single word may change history.